Mr. Forrester has practiced with the firm since 1984. He has been a partner with the firm since 1990, and has enjoyed a varied and challenging state and federal court civil law practice. His primary emphasis has been in employment-related litigation, particularly workers’ compensation and civil actions brought under the Employee Retirement Income Security Act. Mr. Forrester has been certified by the Tennessee Supreme Court Alternative Dispute Resolution Commission as a Rule 31 Listed General Civil Mediator. 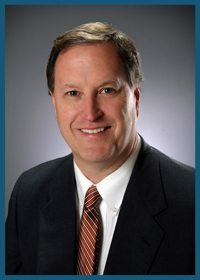 He has been fortunate to represent and work with some of the most respected and dynamic employers in Northeast Tennessee on a wide variety of issues, including employer representation in court and administrative trials and hearings, workplace training and investigations, discipline and termination matters, benefits and leave issues, accommodation and disability disputes, and drafting and enforcement of company policies and procedures.